‘Building Houses of Love’, the project funded by popular group JYJ’s Kim Junsu, has completed yet another house. The non-governmental organization ADRA KOREA revealed on the 13th that the 8th house of the ‘Xiah Junsu Building Houses of Love’ project has been built. The ‘Building Houses of Love’ project is a social contribution project that is funded by Kim Junsu and builds houses for those in need in Korea. Kim Junsu has been making donations to ADRA KOREA since 2008 and these donations have been used to fund the project. The eighth ‘Xiah Junsu House of Love’ was built in Gyeonggi-do Icheon-si, following houses in Dangjin-si, Paju-si and Taean-gun. It is a wooden house that is 80㎡ big and features various living facilities such as a kitchen, washroom, living room and study room. Mrs. Park, who has been raising her young children as a single mom in a run-down home, has been gifted a new house with the help of Kim Junsu. The ‘Building Houses of Love’ project chooses recipients through a recommendation and evaluation process. Kim Junsu’s funding and manual labor by volunteers combine to create new homes for people in need. Over 100 people participated in the latest project and their sweat and tears created the foundation of the house. 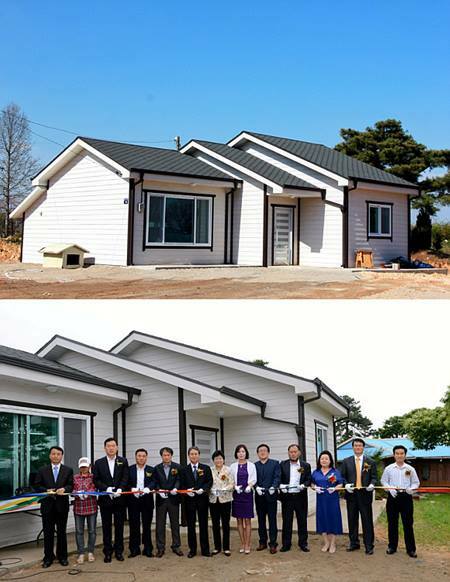 The completion ceremony of the house was held on the 12th and was attended by Icheon’s mayor Kim Gyung Hee, ADRA KOREA’s Kim Daesung, volunteers and people in the neighborhood. Kim Junsu and his parents also attended the event to make the whole project even more meaningful. Mrs. Park and her family were seen with bright smiles on their faces for the first time in a while. 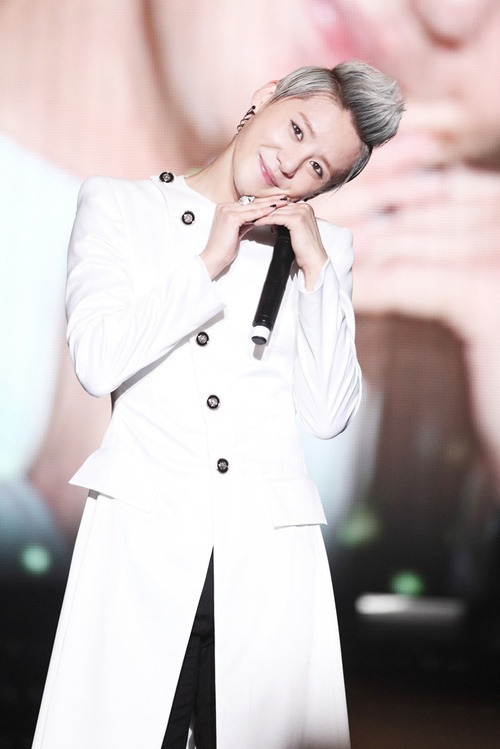 Kim Junsu has been participating in various charity events both in Korea and overseas. In 2011, Kim Junsu set up a school in Cambodia and has been funding projects to better the living conditions of people living in poorer quarters. Kim Junsu is planning to release his second solo album in July and has also decided to reappear in the encore performances of the musical ‘Elisabeth’ as ‘Tod’.